An egg binds time in a place where lightning is a playmate of women and girls, but a gift of a mirror presages the destruction of what had been a haven for the female... 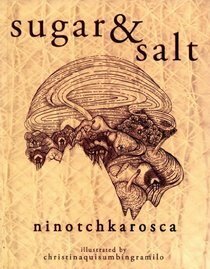 This modern fable is of such surprising juxtapositions, reflecting the seemingly trite but assuredly cruel twists of Philippine women's history. Book #61 for 2012: Women's history. Profound. Mysterious. Head-trip. For a small book, it packed a lot of punch. I was reeling while reading it.